We looked at tuning-in to concepts. We looked at planning with the concept in mind. Content Area – The Ancient World, with a focus on settlements and geographical features in ancient Mesopotamia, Greece and Egypt. 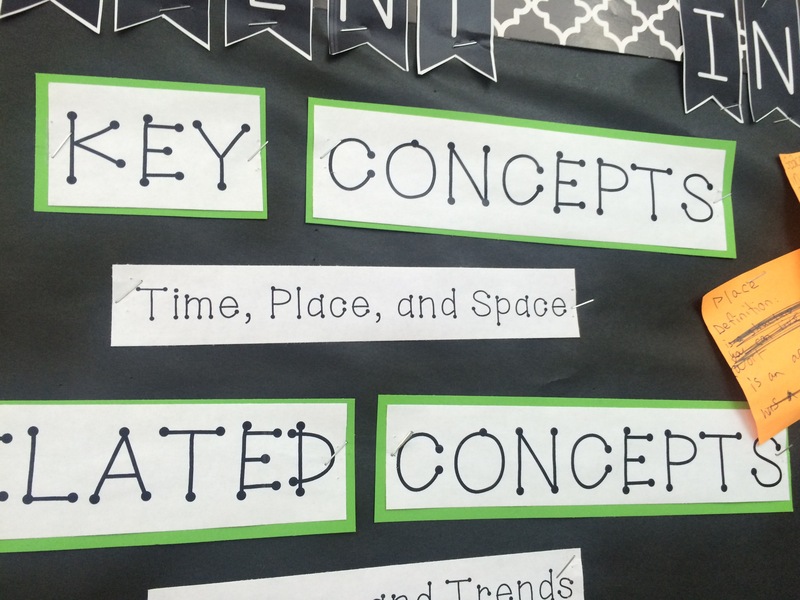 The first thing this teacher did was have her students tune-in to the idea of Time, Place and Space by engaging the students in a chalk talk. 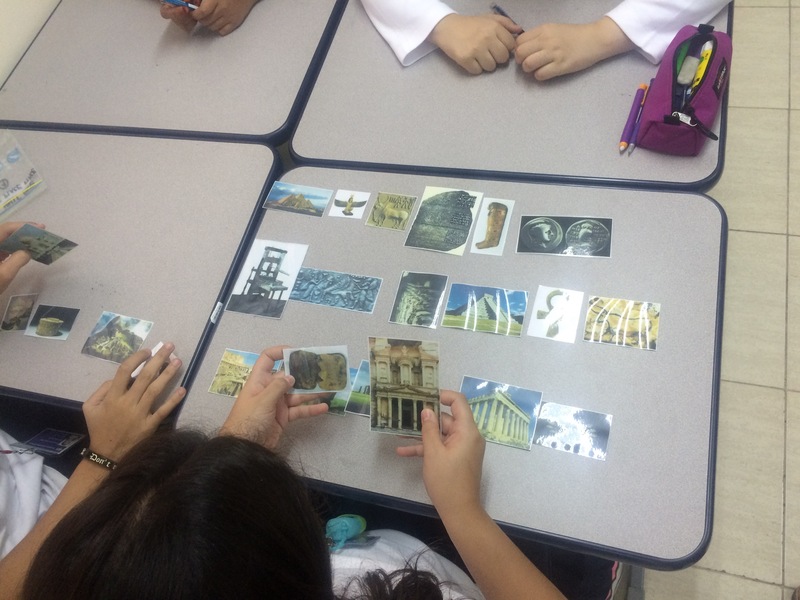 During this activity the students shared a bunch of their individual ideas about each part of the concept – Time, Place and Space. As a means of consolidation, the students sat in a groups and, based on the work of the entire class, came up with their own definition for each word. Throughout the course of the unit, the students are allowed to revisit these definitions to see what they might like to add, remove or change, based on new learnings. The students were placed in groups and presented with a series of photos of various artifacts from the ancient world. They were then asked to put these photos into any categories that made sense to them, first according to time, then according to place and finally according to space. The students’ groups were varied and interesting – everything from groups based on the time they thought it took to create the objects in the photos, to the space between the objects, to whether the places theses objects originated from still exist today and more. The best part? The conclusion that many students reached which was how hard it is to group artifacts just based on one element of this concept and how Time, Place and Space seem to be inextricably linked. I love SOLE sessions. If you haven’t tried one in your class, do so – the learning is incredible, as is the collaboration. The big question for this SOLE session was, “Where is the best time, place and space to build a settlement?”. Students were given 30 minutes to explore a range of questions they had and in the latter half of class, had to make a presentation where they asserted what they thought to be the best time, place and space within which to build a settlement. Some groups focused on just one of these elements, some on all three, but all groups were deeply engaged in both concept and content throughout the activity. Furthermore, not only did this SOLE session allow the students to drive the inquiry, it also provided the teacher with yet-to-be-answered, concept-related questions from her students that she could use to plan future inquiries. The summative assessment for this unit is a great one – the students need to create their own settlement and place it on a map, complete with geographical features of their choosing (geographical influence on settlement was an important topic in the unit). They have to choose a time, place and space within which to establish their settlement. 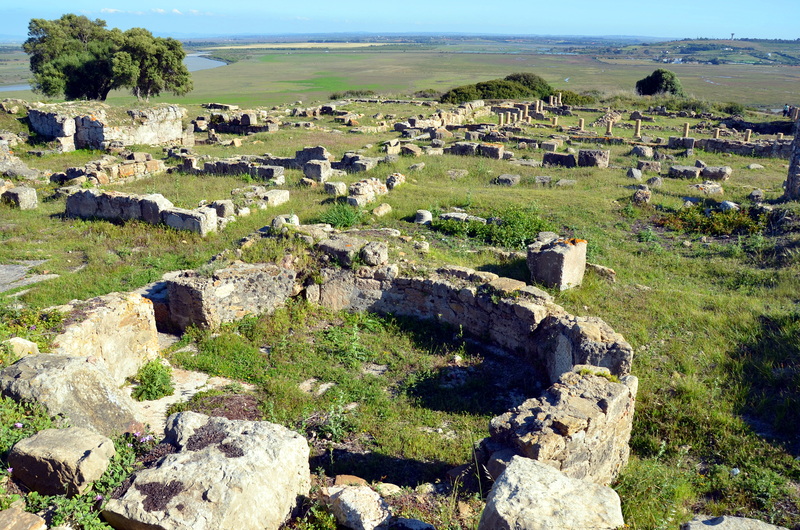 From there, using what they have learned about the successes and failures of the settlements of the ancient world, the students need to justify how time, place and space factored in to where and when they built their settlement. This is not the entire picture of this teacher’s unit and it is certainly not meant to be a blueprint for all concept-based units. It is merely a quick glimpse into one way we can keep the concept alive in our units from the tuning-in phase, all the way to the summative assessment.